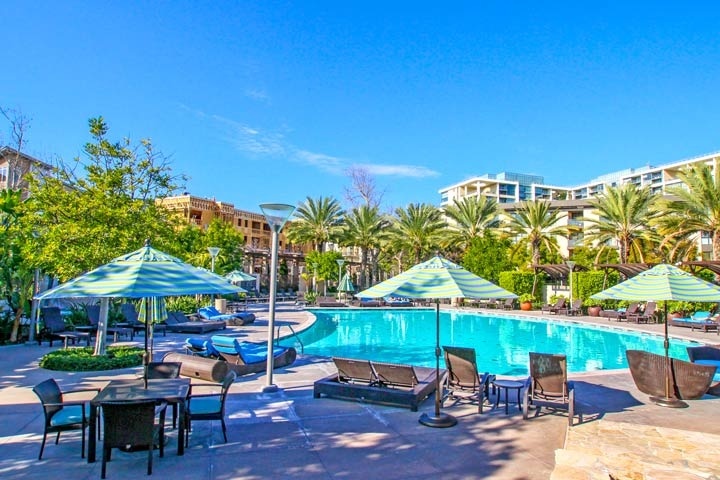 Central Park West condo complex is located in Irvine, California and features a variety of complex's located near Jamboree and the 405 freeway. This is a very large complex that was built in 2010 and spans over 8,000 sqaure feet with a resort style pool, fitness center, spa and clubhouse. Some of the top condo buildings like Belvedere, Chelsea, Granville, Lennox, Manhattan, Maxfield and Madison are location in Central Park West. The Central Park West condos are under a homeowners association with various monthly dues required. The dues include use of the Central Park West world class amenities listed above. Two of the newest neighborhoods found here is the Tribeca and Hudson townhouses built in 2018. Below are all the available Central Park West condos for sale and for lease in Irvine, California. Please contact us at 888-990-7111 with questions regarding this complex and any of the condos listed for sale here.